Nuts are an excellent component of a healthy diet. Often, they are chock full of healthy fats, antioxidants, vitamins and other nutritious compounds. 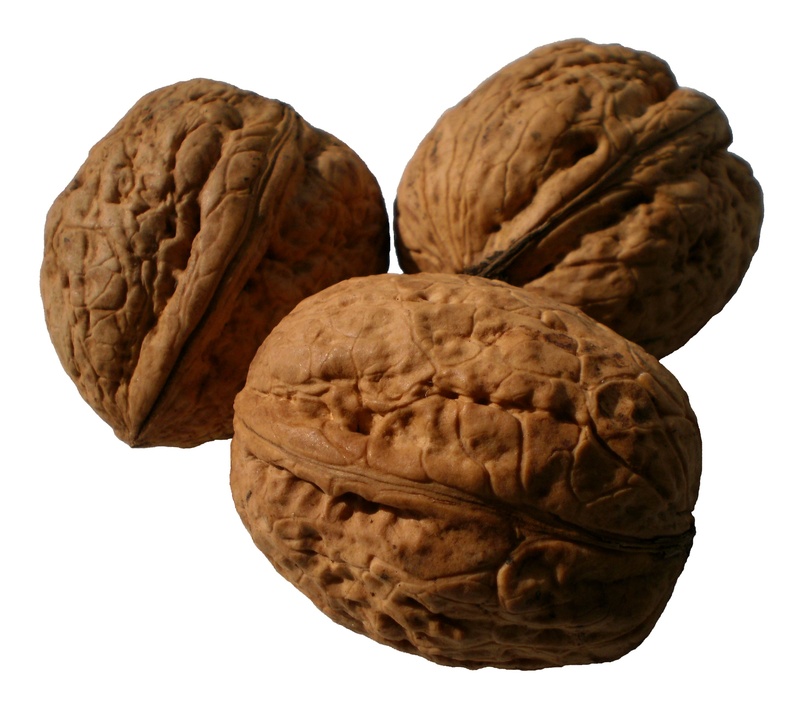 Today we will focus on walnut nutrition and how to include more of them into your diet. The flat answer is YES! Walnuts are a nutritional powerhouse. Omega-3 Fats – 1/4 cup of walnuts contains more than a full daily recommended value of omega-3 fats. According to the University of Maryland Medical Center, walnuts are high in alpha-linoleic acid (ALA). ALA is an anti-inflammatory and could prevent blood clots from forming. A diet high in ALA reduces the risk of heart attack and a 50% risk reduction of cardiac death. Heart Disease – If you have a high risk for heart disease, walnuts have l-arginine. L-arginine is an amino acid that provides benefits to the vascular system. Antioxidants – Walnuts have a high concentration of several powerful antioxidants, such as polyphenols. Antioxidants work in the body to decrease damage caused by free-radicals which can lead to cancer, heart disease, and premature aging. Healthy Brain – The British Journal of Nutrition found that walnuts contain “a number of neuroprotective compounds, including vitamin E, folate, melatonin, omega-3 fats, and antioxidants.” The research suggests that eating walnuts boosts brain health and can be especially beneficial for young people. Lastly, when eating a walnut, don’t skip the outermost layer! Often, the flaky, whitish part has a slightly bitter flavor, but it’s estimated that up to 90% of the antioxidants are found in the skin. Thus, walnut skin is one of the most nutritious parts to eat. If you’re looking for an incredible side dish, this recipe from eatingwell.com for Blue Cheese & Walnut Green Beans will go well with any main course! Makes: 4 servings. Total Time: 20 minutes. 1. Bring green beans and water to a boil in a large skillet. Reduce heat to a simmer, cover and cook until the beans are just tender, 3 minutes. Uncover and continue cooking, stirring occasionally, until the water has evaporated, 3 to 4 minutes more. 2. Add oil, salt and pepper to the pan and cook, stirring, 1 minute more. Transfer the beans to a large bowl and toss with blue cheese until well coated. Sprinkle each serving with walnuts and serve. One of the best options for a light lunch or an appetizer is a delicious salad. Below is a recipe from rodale for Beet and Goat Cheese Salad with Baby Greens and Walnuts. 2. To prepare salad, roast the walnuts in single layer on an ungreased baking sheet until golden brown and fragrant, about 6 minutes, stirring occasionally. Allow to cool. 3. Combine walnuts, greens, and beets in large bowl. 4. To prepare dressing, whisk oils in a small bowl. Gradually whisk in vinegar and then salt and freshly ground black pepper to taste. Gently toss with salad, sprinkle with cheese, and serve. Walnuts are loaded with nutritional benefits. Adding even a small amount into your regular diet will give you a healthful boost!